The previous 25 years have been marked by globalization. A number of forces acted together to bring our planet closer together. Trade pacts, peacekeeping alliances, the Internet. But now, according to Christopher Swift, a professor of national security studies at Georgetown, we're in a new era of localization and fragmentation. "The global economic system is reorganizing into regional blocks, and those blocks are putting more barriers around themselves," he said. Russia, China, and the NAFTA region are starting to focus internally. The European Union struggles to keep its coalitions together, the U.S. is facing a dramatic political divide, and the Middle East is suffering from its own divides. And the fragmentation is expanding to the rule of law as well. "We're seeing countries like Russia and China find ways to break those rules to further their own subjective interests," Swift said. The effect on business is that boards and directors are going to be less likely to take on big international challenges, will be more careful, more timid. "The environment is just not as flexible as it used to be," he said. ISIS dominated the international news in 2016, and is likely to be a continued source of conflict next year, according to experts. "The issue on everybody's mind is ISIS and the effect it's having on the broader world," said Kevin Frank, head of intelligence at security firm Nuix. Frank was previously an intelligence officer for the Defense Intelligence Agency and for the U.S. Navy. More than just a local conflict in the Middle East, the violence has spilled over into Europe, and a flood of refugees from Syria and Iraq is putting pressure on local governments in Europe and elsewhere, he said. According to the global intelligence company Strategic Forecasting, ISIS and its affiliates will continue to try to conduct terrorist attacks outside the Middle East in order to stay relevant. On a positive note, Stratfor also predicts that ISIS will suffer notable losses in its core areas in Syria and Iraq -- but that this will just encourage its leadership to call for more operations in the West. Russia is facing problems on several fronts, according to Nuix' Frank. "Russia is involved in a festering sore in the Ukraine that is not going to come to a conclusion in 2016. Russia will continue to support the separatists... There will be no closure in the Ukraine for quite some time." Russia is also taking a hit to its economy as a result of the loss of half of its income from oil, he added. "Add on to that that the Russians are getting involved in Syria," he said. And, according to Stratfor, Russia is also facing a deteriorating relationship with Turkey. This leads to the question of the effect Russia's involvement in the foreign conflict will have on the country's local Muslim population, Frank said. "Will Russia have its own Islamic problem that emerges?" he asked. Since the breakup of the Soviet Union, there have been wars in many of the surrounding republics, including Azerbaijian and Tajikistan, and within Russia itself in Chechnya. Much of the Caucasus region in southern Russia is Muslim, as is Central Asia, and have had a long history of conflict with Moscow. "We could be getting into a very concerned time for Russia," said Frank. Europe is struggling to figure out what to do with a flood of Syrian refugees, especially in light of the Paris terror attacks. "How are countries in the European Union going to react to that?" asked Nuix' Frank. "And how will that affect the ability to do business, and how it will change business in that whole sector." Combined with issues of economic volatility in southern Europe, that just adds more pressure on the European Union. The one bright side of this for business in the region is that these pressures are mostly political -- and politics moves slowly, which will give companies time to react. That doesn't mean that it's impossible for companies to be taken by surprise, he warned. "But businesses in these areas, especially ones working in areas of concern, need to be very cognizant of what's happening politically," he said. Beijing's territorial claims in the South China Sea pit China against the Philippines, Taiwan, Vietnam and other neighbors that claim ownership of the key island chains and nearby water. 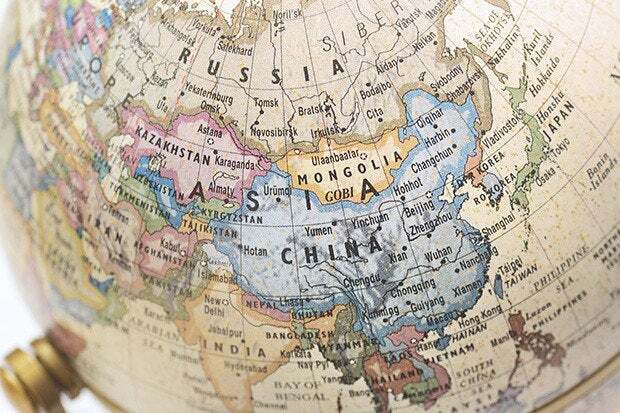 "China is always the most difficult nation to understand its motivations," said Keith Lowry, senior vice president for business threat intelligence and analysis at Nuix. Lowry was previously chief of staff at the Department of Defense. "For decades, they've been trying to control the South China Sea," he said. "Now they're building up these bases where they didn't exist before, where the majority of the population that they're trying to overcome is Muslim." Plus, after years of explosive growth, China's economy is decelerating. That slowdown threatens the global economy, as evidenced by the late summer market scare around the world. Another potential risk for companies doing business in China is that, according to Stratfor, the country's reform process has reached a precarious phase, with planned reforms focusing on state-owned enterprises, consolidating bloated sectors, looser currency controls, political consolidation and anti-corruption campaigns, as well as a series of ambitious military reforms. Any major city, power facility, or communications or travel hub could become the site of an infrastructure failure, according to Albert Goldson, executive director at New York-based ​Indo-Brazilian Associates LLC, a boutique global advisory firm that provides international investment, political and security risk assessments. One recent example is the 2003 New York blackout, he said, a result of a cascading failure of systems. Whether due to accidents, natural disasters, physical actions by terrorist groups, or cyberattacks, the risks have been increasing over the past few years, he said, as the number of targets continues to grow. "Companies need to be prepared for people to be able to telecommute if they can't get to the office, have a plan for any sort of extended outage, and have a plan for backup communications," he said.